Beta 2.26.4 - Mar 21, 2014 - Fixes ability to assign detail objects if Job Filtering is On. Works with Mobile Beta 1.8.x. If you are doing an Upgrade, you must follow the below instructions! If you are upgrading from a version before 2.24.x please find those release notes and follow those upgrade instructions. Otherwise, find the version you are upgrading from below and follow the instructions. Interviewee Map Field and Allow Anonymous Interviewee have been removed from Survey Settings. Also, mapping to the Respondent field has also been removed from Field Mapping. We recommend removing these fields from any draft surveys before upgrading. For all Apex Class Types, edit the enabled apex classes for your site profile and make sure the following are added to the Enabled list if they do appear. For all new custom fields, find the custom field on the object in your site profile and make sure they are set to Visible if they appear. (If they do not appear in the list it is okay). Assigned Target Object This object is accessed by the Guest Site user. (Read, Edit, Create). Also, make sure all custom fields in the object are set to Visible. Performance Target Object This object is accessed by the Guest Site user. (Read). Also, make sure all custom fields in the object are set to Visible. SObject Filter Conditions Object This object is accessed by the Guest Site user. (Read). Also, make sure all custom fields in the object are set to Visible. Target Object Remove permissions for this - it is no longer needed. SObjects Contact Association Object This object is accessed by the Guest Site user. (Read). Also, make sure all custom fields in the object are set to Visible. SObjectContactAssociationDO Apex Class This might not appear. If not, no need to add any access. NEW! 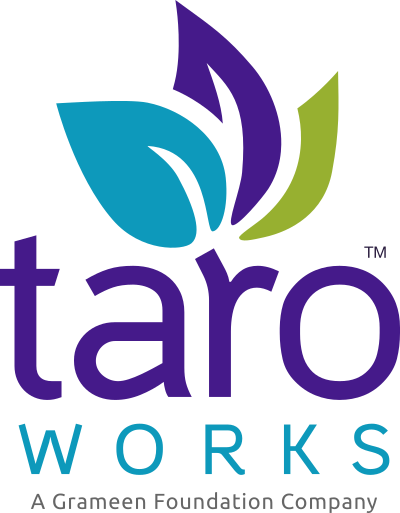 Client Assignment records are no longer used in TaroWorks, their function has been replaced by SObject Contact Association object. Upon installation, the existing Client Assignments are scanned and the assignments info are used to create SObject Contact records. Triggers, workflows and reports should be revised if they make use of the Client Assignment object. NEW! Be CAREFUL assigning more than 250 records of any object to a Mobile User. Once you do, and then if you need to unassign one, TaroWorks will unassign all records that are not displayed on the page. IDALMSA-5551. Fixed in 2.26.3. More than 50k job activities cannot be viewed on Job Activities tab. Workaround is to create a Salesforce report to view job activities. PPI Report included in TaroWorks will not work with large number of submissions. IDALMSA-5502. Contact TaroWorks support for reporting guidelines. More than 10k assigned targets cannot be updated. IDALMSA-5110. NEW! Job Targets might not be correctly calculated if there are more than 200 active Mobile Users. IDALMSA-5518. Over 100,000 skip condition records will cause adverse behavior when trying to remove options attached to skip logic while editing your survey. IDALMSA-5618. NEW! If deleting questions/sections and then adding questions/sections, be sure to hit Save in between. Also, if you are moving a question to another section, you have to save before deleting the original section. In general, it is good to Save after every delete or move. Also be careful if you have added Field Mapping when deleting questions. IDALMSA-4959. The Update Performance Target workflow will throw errors on Closed Jobs. This can be ignored. IDALMSA-5628.